The Hiperfire? Hipertrain enables dry firing of any AR-15 trigger system without having it installed in an actual rifle. It helps demonstrate trigger function to students and is a great aid in letting a retail store customer check out the "feel" of a new trigger before buying. 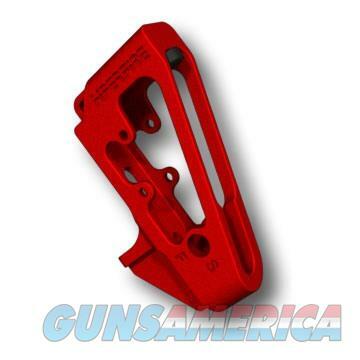 The Hipertrain is made of lightweight machined aluminum and accepts a pistol grip, hammer/trigger/disconnector assembly, and safety selector just like a standard AR-15 lower receiver. It comes with a rubber hammer-strike bumper already installed to protect the hammer from damage.